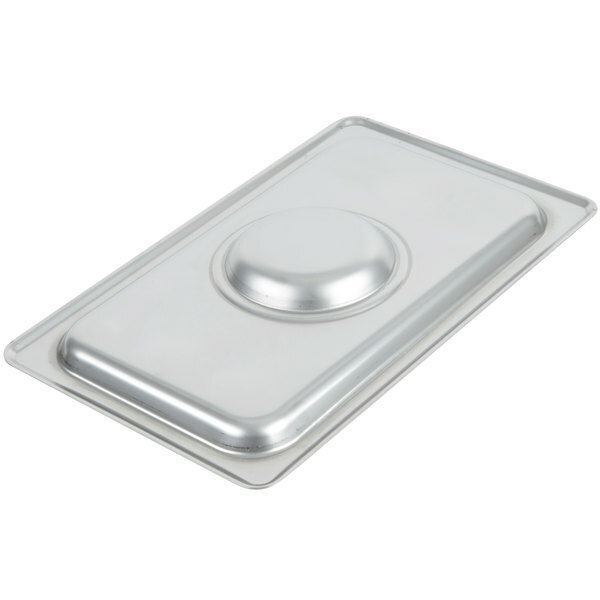 Keep the heat in and the contaminants out with this Choice 1/4 size stainless steel solid steam table / hotel pan cover! 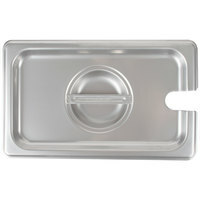 Accessing your entrees and side dishes is effortless with this 1/4 size flat stainless steel steam table pan cover. 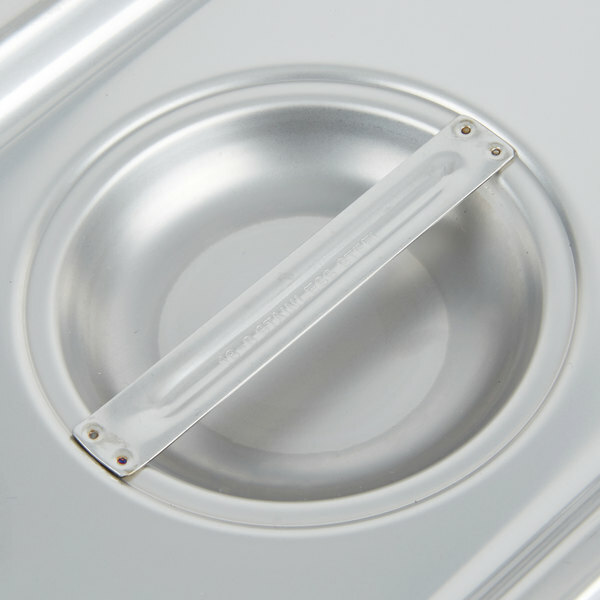 Made to fit any standard, 1/4 size steam table pan, this stainless steel cover serves both functionally and aesthetically. 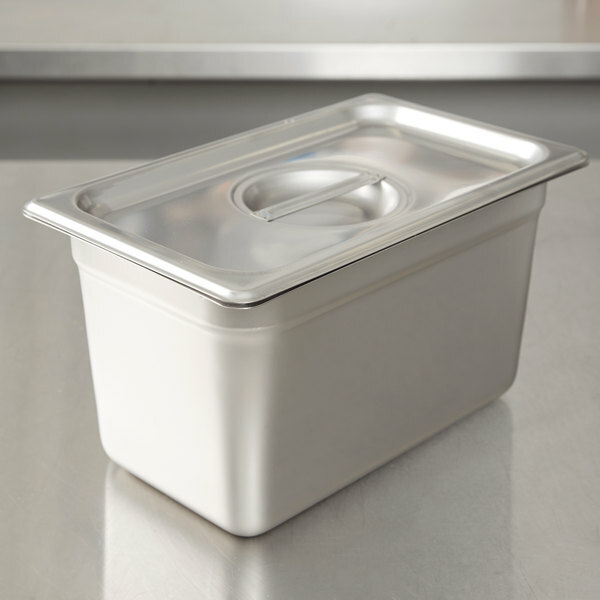 Whether you are catering an event or serving on your buffet line, this lid will keep your dishes hot for hours and withstand years of use. "Lids work perfectly with coordinating pans. They fit nicely and keep hot foods hotter for a longer period of time. Make stacking and carrying prepped pans really convenient." 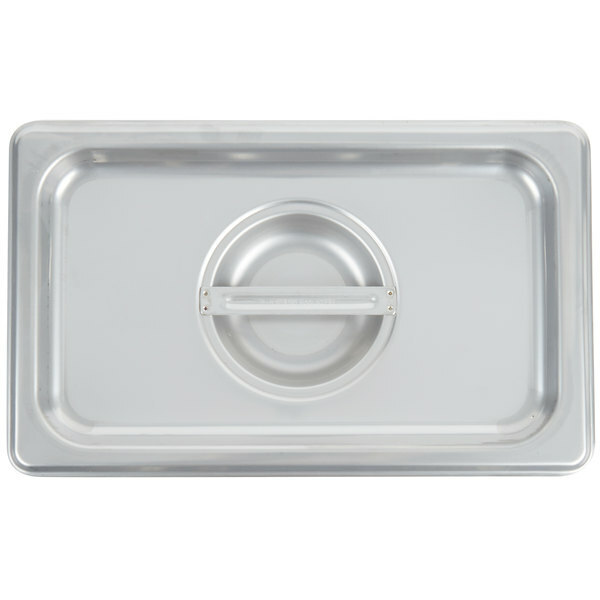 This Choice 1/4 size stainless steel solid steam table pan cover is perfect for the pan we purchased. It fits great. These are easy to clean also. Have purchased many of them. These covers are essential for keeping our sides hot on the steam well table. It fits the 1/4 pans well and helps us organize and stack our sides in our cooler and hot hold unit. A+ item as described! This is a great value compared to other similar products. The top is a nice weight, and fits perfectly on our 1/4 pan. We have to cover our shrimp when its in our well, and this was the perfect solution! We use several quarter sized pans in our kitchen. Keeping them covered to prevent contamination as well keeping the heat in is a must. Works great. 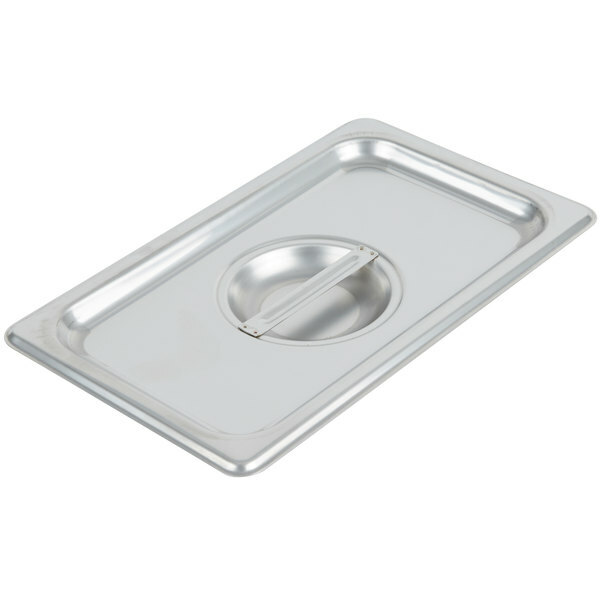 The Choice 1/4 Size Stainless Steel Solid Steam Table/ Hotel Pan cover has an easy to grip handle. It is well made and very durable. It is dishwasher safe and fits well on a 1/4 size pan. The price is great! I will be purchasing more. This was one of the first products I got at webstaurant. The stainless steel is of excellent quality. The lid fits perfectly. Easy on and off with the top handle. This item is a very cheap and easy to clean item. I would make sure to get multiple so you can always have on hand. These steam table pan covers are great. It saves foul or plastic wrap, you can use them in the cooler or on the steam table. This hotel pan lid fits great, and does a great job of staying stain free despite any mess you throw at it. Very easily sanitized! This works very well. Nice fit, easy to clean and easy to store. I was worried about picking the right size lids, but the dimensions are all listed so it was very easy to find the right ones. Lids work perfectly with coordinating pans. They fit nicely and keep hot foods hotter for a longer period of time. Make stacking and carrying prepped pans really convenient. 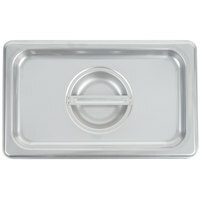 This Choice pan cover works perfect with the Choice food pan and much cheaper than some of the other brands. I haven't tried the more expensive versions of this but if it ain't broke, don't fix it. This quarter size covers are excellent. I am satisfied that they cover the compatible pans smugly and keep the meals protected properly. The price is affordable, as value for money. 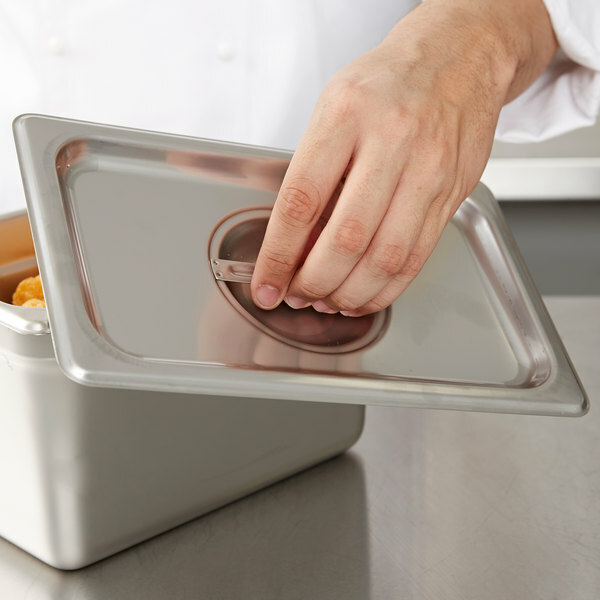 Simple hotel pan cover that works well with our steam table pans. Cleans up easily. Nothing super special about it except for the price of a new cover which webstaurant beats anybody I've looked at. 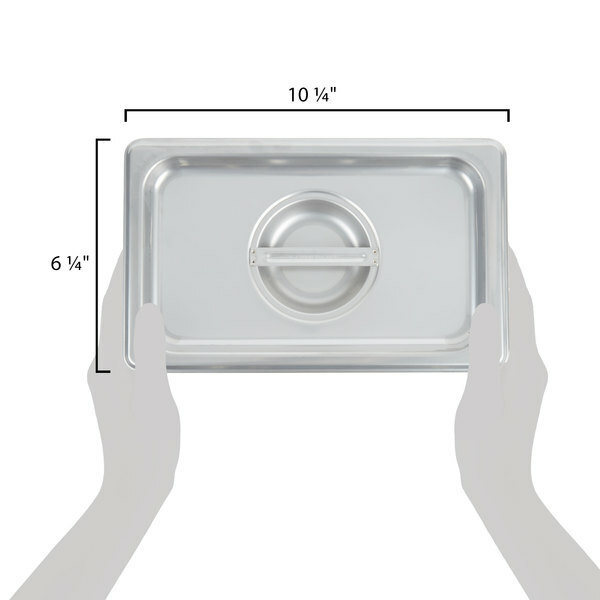 These 1/4 size pan lids are perfect fit for the 1/4 size pans and keeping food warm and covered. I use to keep chili covered to stay warm for hours, highly recommend and well maid sturdy pan lids. Not much to say about these covers other than that they are the same as the costlier ones but at a heck of a lot cheaper.. 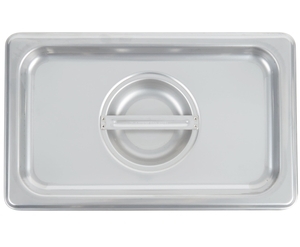 This fits perfect on the 1/4 size standard weight stainless steel steam table/ hotel pan that I bought. I Love the fast and cheap shipping! These lids are alright. The holder on mine broke right when i purchased it. Thats not a very big deal though because these lids are great for steaming my hot dogs and do a great job of keeping in heat. We bought several of these lids for keeping our food fresh in our food truck. They are very sturdy. We love them so far! Fast shipping! This cover is great. Much more sturdy than you would expect for the price. It fit nicest and tight as well, which makes it good for braising small amounts. Great price very high quality metal. You cannot tell that these are a lot cheaper than the ones you buy from some places. I would never recommend buying a more expensive product for no reason! Fits like a dream on the 1/4 size pan I bought with it. Pretty much dent resistant, and very easy to clean! Clean look on my steam table that keeps the customers at ease as well.